A galactic battle begins. The BYDO Empire of mutant extraterrestrials is back with evil intent and awesome power. Now the evil empire is poised to launch a new attack on Earth. 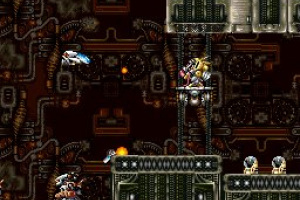 Only the revolutionary R-9, the planet's most advanced form of defense, stands between these monsters and doom. 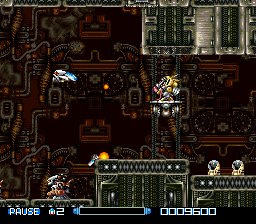 Fight through seven challenging stages - picking up power-up items as you progress - on the way to each stage's memorable boss. Is the BYDO Empire invincible? You'll need lightning reflexes, intuitive moves and a big dose of cosmic luck to hold your own. Better prepare yourself, because the mutants "R" ready for you. This game looks awesome! Hmmm... my dad and sis are die-hard fans of Gradius. 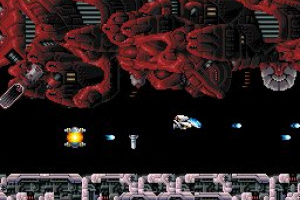 Should Super R-Type throw Gradius III 'out of the cockpit' for them? Yes. Yes it should. 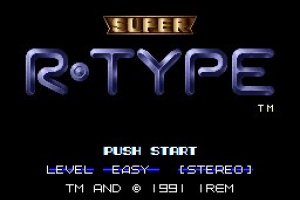 although my favourite has always been R-Type 3. 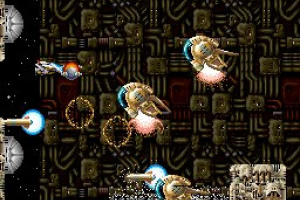 I liked this game. Of course I played it on the easiest mode possible. 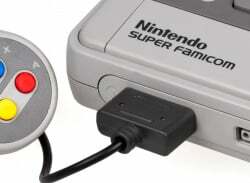 Great Music, download it and give it a listen, makes good use of the SNES sound chip. 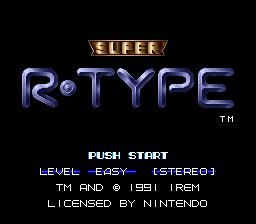 Super R-Type is kinda choppy port, I'll pass. Remember, on the VC the "choppyness" will be gone! The VC has already massively improved Super Mario 64 and the Sonic games, both of which were prone to slowdown. Finally we get to play these games the way they were designed to be played! Can't wait to use the level-select haha. I used to have this back in the day on my snes, and it was one of my favourite games. The music is really good and the sound effects packs a certain punch. I dont remember the game being that hard though. 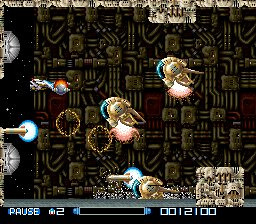 It sure as hell wasn't easy but i managed to beat it in the end and I dont consider myself some sort of shmup wizard. I will definately get this as soon as it comes out. "Remember, on the VC the "choppyness" will be gone! The VC has already massively improved Super Mario 64 and the Sonic games, both of which were prone to slowdown. Finally we get to play these games the way they were designed to be played!" It will have the same slowdown as the original, just like any other VC game. lol @ that start up sequence, who decided a crane would be the best way to exit the base? 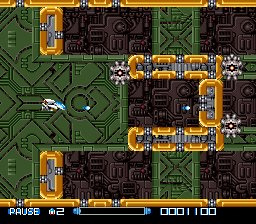 This game has a lot of slowdown and as the review states the lack of checkpoints makes it really frustrating. 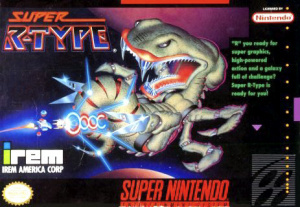 I actually like the original better..
How peculiar, we get Super R-Type AFTER we got R-Type 3 oh so long ago. 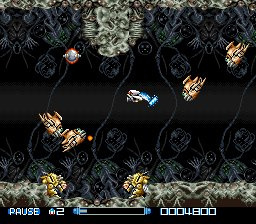 Well, fingers Crossed, If Super Aleste comes out, I will have all my favorite SNES shooters on the VC (Except Axelay, wich is nowhere seen on the horizon for Europe and UN Squadron because Capcom has long lost the rght to Area 88). Lol, the video was looking familiar and now I know why. 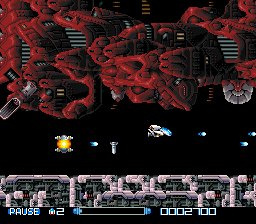 I prefer Gradius III myself. So going to download this the next time i get my Wii online. I loved the other two r-types that are currently on the VC. This games music is the best I've ever heard in a game but the slow down is absolutely terrible and ruins the game. 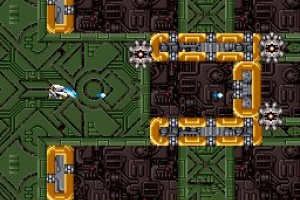 Lots of slowdown really keeps this from being the amazing game it should have been. 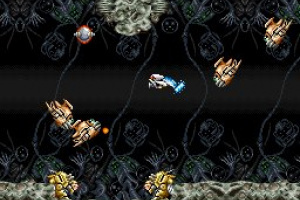 Try the TG16 version of R-Type or R-Type III for a better overall shooting experience.